Many teachers say their practice is influenced by their understanding of neuroscience, however ‘neuromyths’ and misinterpretations around how students learn are widespread. This is why Wellcome has funded six projects to support teachers to better understand and access research on the science of learning, ultimately using this to improve their practice. Last week The Science of Learning Zone launched. This is a 6 month online engagement activity allowing teachers to ask questions and engage in discussions with psychologists and neuroscientists. We know the Science of Learning Zone engages both teachers and researchers. In 2015, Wellcome funded a 6 week pilot of the Science of Learning Zone. 7000 users visited and read the discussions on the site, and teachers asked 100 questions, receiving 200 answers from researchers. 94% of teachers (who responded to the evaluation) said they would recommend this to a colleague and two thirds said that they had an improved understanding of the brain and/or learning. Building on this success, we’ve now funded a 6 month Science of Learning Zone, split into fortnightly topics with a live chat every week. Wellcome have also partnered with the Learning Scientists – a group of cognitive psychological scientists interested in the science of learning. We’ve funded them to produce podcasts and hold Facebook LIVE discussions on Science of Learning topics. We hope these formats will make it easier for busy teachers to gain access to relevant research on learning. We’re also keen to get teachers involved in educational research themselves. Partnering with the Education Development Trust, we’re supporting teachers to conduct their own randomised control trials, testing interventions grounded in science of learning research, in their own schools. Teachers are given resources and training days to support them to understand the existing research base, and to design and evaluate their own interventions. We’re hoping to see initial trial results from April 2018. Partnering with the National STEM Learning Centre (NSLC) we’re also supporting more formal professional development for teachers. Plugging an important gap, the NSLC are creating a Massive Open Online Course (MOOC) on the science of learning. To give the course a strong theoretical foundation we’ve funded Professor Paul Howard-Jones to provide neuroscience expertise and Professor Tim Jay to provide psychology expertise. The course aims to improve teachers’ understanding of learning and behaviour in their class and, therefore, to reflect on their own practice and improve their approach. Teachers can sign up here and the course will launch on 16th April 2018. Our final 2 projects involve creating science of learning modules for Initial Teacher Education (ITE) courses. Bath Spa University and the University of Bristol are developing primary and secondary ITE modules respectively. We’re hoping this early intervention in teachers’ education will be effective in shaping how teachers conceptualize learning, and therefore how they construct their own practice. Resources are being developed and tested with trainee teachers this year, and the materials produced will be open access for other ITE providers by the end of 2018. We think that these projects provide an effective combination of improving teachers’ access to usable evidence-informed resources, alongside building up teachers’ own ability to understand new research, and even conduct their own research. Through this we hope not only to spread the use of evidence-informed teaching methods, but also to give teachers the ability to develop their own teaching practice informed by their own understanding of research. This empowerment of teachers with the understanding and confidence to engage with research will play a significant role in the continued professionalization of the teaching profession, and therefore in increasing the learning outcomes of students. We will continue to work alongside partners to empower teachers with the science of learning, and we’d love your involvement with our projects and help spreading the word to colleagues and partners. On Monday 25 April 2016, researchers interested in educational neuroscience were invited to an ‘Introduction to the Media’ event hosted by the Wellcome Trust and Education Media Centre. It was an opportunity to find out how to engage with the media from both the journalists themselves and researchers with prior experience. An Assistant Headteacher spoke of the growing interest from the teaching profession about research into the science of learning and the difficulties involved in accessing reputable information. She suggested that many teachers would be influenced by what they read in the media, urging experts to ensure their voices were represented in such stories. She encouraged researchers to talk as much about what is not known as what is known, so that teachers might become more discerning of bold claims made by less reputable sources in the media. The tension between researchers wanting to share scientific messages, as opposed to bold news-grabbing headlines that a journalist or newspaper might be more interested in was discussed. Reassuringly the journalists explained that they are keen to tell the full story as accurately as possible, including the caveats and nuances of the science. Two senior researchers spoke of the support from their institutions, and they discussed how media engagement is increasingly acknowledged within academia. An early career researcher in the audience asked an interesting question about whether or not more junior researchers would have anything worth publicising through the media. It was suggested that researchers needn’t only share their own findings. A researcher wanting to be involved with the media could engage by debunking neuromyths for instance. A PhD student in the audience enquired about how the journalists measured the impact of their stories. Although it was agreed that the impact of research in the media would be a difficult thing to measure, it is known that the public regularly engage with the media. Therefore as educational neuroscientists, psychologists or educational academics, a particular priority should be to share educationally-relevant findings with teachers and policy makers, and working with the media would be one way to progress towards this goal. Many benefits of engaging with the media beyond the dissemination of knowledge were shared. For example, raising awareness via the media could help to recruit participants to a study. Academic citations might increase as researchers find out about relevant work through the media, and contact might be made between researchers, leading to future collaborations. Benefits outside of research can include being paid for contributing articles and developing transferable communication skills. A big take away from the day was that there are independent organisations that can help researchers to engage with the media. The Education Media Centre and the Science Media Centre both work with researchers who want to provide scientific evidence to the media. Researchers should remember that they are experts with exciting insights that the public want to hear about. Rather than keeping specialist knowledge to themselves, researchers have a duty to explain important research to the public. Talking to journalists and engaging with the media can be scary, but as the researchers on the panel explained, it can also be great fun and hugely worthwhile. Most importantly, it could impact the teaching practices of educators, or affect the next change in education policy. Evidence-based education is what educational neuroscience is all about, so researchers should use the opportunity to share their expertise with as wide an audience as possible. Teachers and parents have a great enthusiasm for the brain sciences and the light they can shed on learning in educational environments. However sometimes this enthusiasm can lead to educators too readily accepting teaching practices, ideas, or techniques that do not actually have a scientific basis in neuroscience – or which reflect some basis in neuroscience but have not been rigorously tested within an educational context. This phenomenon has been labelled the spread of ‘neuromyths’ – mistaken ideas about the brain – and it has been the topic of discussion by researchers within neuroscience (e.g., articles by Goswami and Howard-Jones). Researchers in educational neuroscience have begun to compile sets of resources, meta-analyses and reviews to address which neuroscience-inspired teaching techniques are supported by empirical evidence, and which ‘facts’ about the brain actually reflect current consensus within neuroscience. The Centre for Educational Neuroscience (CEN) has produced some resources themed around some of the main topics where neuromyths have arisen. Find below brief overviews about the existing state of research – what we know and don’t yet know on these topics. This work was supported by a Wellcome Trust Institutional Strategic Support Fund grant awarded to Professor Michael Thomas, Birkbeck, University of London. We can all see the extent to which video games engage young people. Teachers often notice how willingly students respond to learning when it’s in the form of a game, and I noticed this myself when I was a teacher. So ‘gamification’ of learning is certainly an area where insights are needed. And if we’re to take games seriously, we need to know what the cognitive processes are that bring about this engagement, and how we can tap into them for greater learning. Learning in the real world is complex, and I think we need many different types of evidence to help understand it, including classroom data, teacher observation and brain imaging. Together, I believe these sources of data can provide a more comprehensive and thorough basis for improved teaching and learning. One potential insight about learning games involves uncertain reward. The mantra of ‘consistent reward’ has often been popular amongst educators (and Ofsted) but neuroscience suggests we may need to turn that on its head. When we anticipate rewards, such as food and praise, there is an associated increase of the neurotransmitter dopamine in the midbrain. Increased dopamine uptake in this area is associated with a faster rate of learning, and this response appears magnified when an element of uncertainty is associated with receiving the reward. This provides a simple theoretical basis for learning games: instead of a point for a correct answer, offer the chance to win either 0 points or 2 points, depending on the spin of a wheel. Using such a strategy, we (along with other research groups) have shown that uncertain reward can boost emotional response, motivation and learning. Studies suggest that dopamine ramps up between an uncertain reward being anticipated and finding out the outcome. This heightens the emotional response to the learning and increases motivation, and so should be good for academic attainment as well. Introducing uncertain reward into teaching practice in this way departs radically from the traditional emphasis on reward consistency and may seem counter-intuitive, but it draws on our scientific understanding of how games ‘hook’ the attention of their players. The type of chance element or luck involved is a feature of many games, including those played by much younger children such as “snakes and ladders”. That’s all well and good, of course, but there is still the question of how such an approach can become part of an everyday lesson. There are lots of questions like this that can only be answered by working with teachers. This is one of several reasons why neuroscience may only be able to help inform education if there is authentic collaboration between those who are versed in the neuroscience and those have expertise in the classroom. Sci-napse stands for “Neuroscience–informed Approaches to Science Education”. This project, which is funded by the Wellcome Trust and the Education Endowment Foundation as part of the Education and Neuroscience initiative, aims to examine the effect of uncertain reward on Year 8 attainment in Science. It is being coordinated by the University of Bristol in partnership Manchester Metropolitan University. Sci-napse aims to test if uncertain reward can improve students’ attainment by applying our new and growing understanding about how the brain learns. Since the games involve continuous questioning, which itself may raise achievement, we will also compare the game-based approach against a standard quizzing or test-based approach. Both approaches involve all students answering and receiving feedback on questions throughout their lessons. These questions encourage the remembering, understanding and application of new concepts. In the test-based approach, students accumulate a fixed number of points for a correct answer. Findings from the sciences of mind and brain emphasise the importance of such testing as a means to encourage learning. In the game-based approach, the points available will escalate throughout the lesson and students can choose to game their points (double or nothing) according to chance. Insights from neuroscience emphasise how this type of game-based approach can increase stimulation of the brain’s reward system, accelerating the rate at which learning occurs. At the same time, in other work at the University of Bristol, we are pursuing further neuroimaging research with adult learners to understand more about the underlying brain processes involved with uncertain reward and educational learning. Insights from this research may also feed into the development of the classroom approaches as they emerge. Personally, I’m really excited about the Sci-napse project – it is the culmination of many years of classroom experiments and lab-based studies. If this excites you too, and you work in a school in the South West or North West of England who might be interested in participating (2016-2017) please do get in touch. Along with the other Wellcome Trust-EEF projects, I believe this research is going to help the UK lead the way in a fascinating new field that may benefit every student in the future. Educational neuroscience (also ‘Neuroeducation’ and ‘Mind, Brain and Education’) are growing disciplines which bring together neuroscience, psychology and education with the aim to produce powerful school learning experiences. As professionals facilitating learning on a daily basis, it is clear why teachers want to understand more about the brain and learning. However the reality is that not all ‘brain-based’ resources and programmes available are based on research. With a move towards education becoming more evidence informed, there is great interest to discover if this knowledge can improve education, but also in helping us to understand why things that work are so successful. The Wellcome Trust has teamed up with ‘I’m A Scientist’ and launched an online platform providing an opportunity for teachers to have conversations with scientists about the research on how young people learn. On this site we have neuroscientists and psychologists who carry out research on a broad range of topics, from maths and anxiety to memory and language. Find out more about the Wellcome Trust’s ‘Education and Neuroscience Initiative’. All our experiences change and shape our brains. Teaching is no exception. Teachers provide experiences that cause changes in the brain; indeed, this is the mechanism by which school-based education works. Therefore, it makes sense that academic performance would depend on the condition of the brain. Academic performance is complex – many different cognitive functions play a part in how well we perform, and these are supported by different brain networks. Learning and memory are critical to academic success. The hippocampus, a structure located within the medial temporal lobes of the brain, plays a major role in the formation of long-term memories. The more effectively this structure works, the easier it may be for a person to learn and remember new things. In addition to long-term memory, another mental ability that plays an important role in academic success is cognitive control. Cognitive control (also known as executive function) refers to our ability to control our thoughts and actions, which allows us to make decisions and to plan in accordance with our goals. These processes are thought to be largely supported by the prefrontal cortex, which lies in the frontal lobes of the brain. When this brain area functions well, we are proficient at holding and manipulating information in working memory, concentrating on the task at hand, formulating plans, making decisions and controlling our behaviour. Therefore, if we want to maximise the positive impact of education on academic performance we should strive to optimise the functioning of the brain, in particular the hippocampus and prefrontal cortex. At its simplest, sleep is driven by two broad systems working symbiotically: sleep/wake homeostasis and biological circadian rhythms. Sleep/wake homeostasis tells us that the need for sleep is accumulating as we progress throughout the day, and helps us to maintain sleep throughout the night to make sure that the ‘sleep debt’ we have built up throughout the day is repaid. If this homeostatic system existed alone then we would all start the day feeling fresh and progressively get drowsier as the day went on. This is not the case: we have peaks and troughs in our tiredness/alertness throughout the day. This rhythm is driven by our internal circadian biology: our biological clock. In adults we naturally feel more tired between 13:00-15:00 and our strongest sleep-drive is at around 02:00-04:00. The intensity of tiredness during the circadian-lows will vary depending on how much sleep we have had the night before, as will the intensity of the alertness: if we are sleep deprived we will feel more tired during the natural dips and less alert during the natural highs. In this way sleep homeostasis informs circadian rhythms. Of course, as with anything in nature, there is natural variation in these rhythms from person to person but as a general rule these patterns are pretty consistent. The circadian rhythm is driven by the suprachiasmatic nuclei (SCN), a part of our brains, which receives light signals from the optic nerve. In the morning, when it begins to get light, the SCN tells us it is time to be awake. The SCN then signals the onset of various processes, such as increasing body temperature and the production of certain hormones, such as cortisol which, amongst other functions, increases blood sugar, to provide an increase in energy levels. Other hormones, such as melatonin, are suppressed. Melatonin is involved in the onset of sleep and sleep maintenance. Melatonin levels typically remain low during the day and high during the night, increasing as we approach sleep. With new findings from neuroscience catching the headlines every day, surely we can tap into these results to improve our education system? 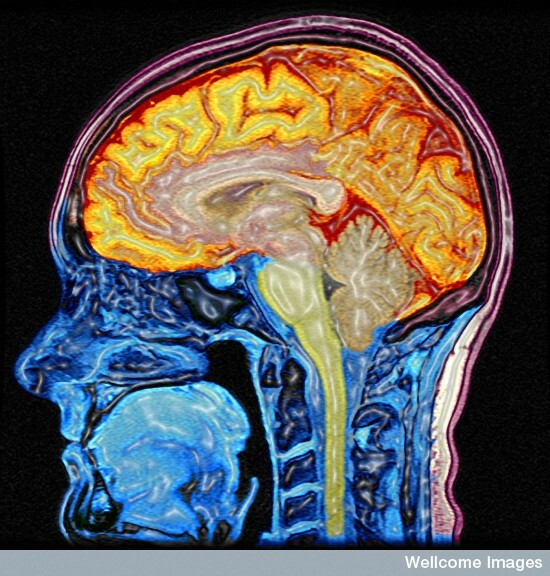 The Education and Neuroscience Initiative hopes to address this question – this joint programme of work between the Wellcome Trust and the Education Endowment Foundation (EEF) aims to: build research and expertise at the interface between neuroscience and education; support the responsible transfer of technologies, resources and practices based upon neuroscience into education; and help teachers to be able to make informed choices based upon the best available evidence. In this post we explain why we are embarking on this work, share some of the learning we’ve gained in the process, and we invite a wider conversation on this topic. A vital reason to get this research off the ground is because teachers are already adapting their practice due to their interest in neuroscience, but have a weak evidence base to do so. A survey of teachers and parents we carried out in 2013 was consistent with previous research showing educators’ enthusiasm and appetite for increasing their understanding of how the brain learns and changing their teaching methods in response. Unfortunately a plethora of ‘brain-based’ programmes and publications, many of which are not based on real science let alone systematically tested, are pretty much all that is readily available to meet this demand. In many cases teachers were potentially wasting time and effort on programmes and pedagogies which were unsubstantiated. At its worst, teachers can be vulnerable to unscrupulous entrepreneurs who used pseudo-science to promote unevaluated, and sometimes expensive, educational approaches. Many neuroscientists have emphasised the potential of their research to improve education, yet it is rare for their findings to be translated into testable and practical interventions. We wanted to help stimulate exploration of how neuroscience research could be translated into beneficial interventions and to test these ideas so that we know what does and does not work. We do recognize that a lack of common language and different expertise can hinder neuroscientists and educators working together, but we are hopeful that bringing in other collaborators, such as psychologists and cognitive or sports scientists, will help bridge the divide. One of the aims of this Initiative is to help grow this interdisciplinary area of research and perhaps stimulate further funding in this area – watch this space! By Lisa M. Saksida, Reader in Cognitive Neuroscience, University of Cambridge. Nearly everything that we do has an impact on our brains. Changes in our behaviour and in our environment can lead to structural and functional alterations in our brains. These changes can happen at a number of different levels, from molecular and cellular changes that happen as a result of learning, up to the reorganization of entire cortical areas as a result of injury. This process is sometimes called experience-dependent plasticity, and it occurs at all ages, although the degree of plasticity is relatively high in childhood and decreases over the course of our lifetime. Neuroplasticity is what allows us to learn, to remember, to adapt and to modify our actions on the basis of experience. One specific aspect of neuroplasticity that has received much attention over the past two decades is adult neurogenesis – the notion that new neurons can be produced in an adult brain. Until the mid-1960s it was firmly believed that neurogenesis in mammals ends in the period just after birth. Technological developments in the 1990s led to an ongoing period of intensive research in this area, and it is now well-established that every day thousands of new neurons are produced in the adult mammalian brain (Cameron and McKay, 2001; Spalding et al., 2013). Many of these new neurons are produced within a region of the brain called the hippocampus, which has long been established as being critical for learning and memory processes. Although the process of neurogenesis has been well-studied, it is only very recently that the specific functional or behavioural consequences of neurogenesis have been considered. Increased neurogenesis generally correlates with better memory, as might be expected when the part of the brain associated with learning and memory is increased in volume. But what is the specific role of these new neurons in learning and memory? There are several theories, but the largest body of evidence so far (although it is still very preliminary) supports the idea that new neurons in the hippocampus are important for a memory process known as “pattern separation” (Clelland et al., 2009) . In contrast to our usual notion of memory as the ability to retain information over time, pattern separation at the behavioural level refers to the ability to keep memories distinct and resistant to confusion. Imagine you are asked to remember where you parked your car this morning, yesterday morning and the day before. This task is difficult not because you need to remember something that happened a long time ago– it is easy to remember much of what happened three days ago – but because the similar memories of parking your car in the same car park over three consecutive mornings are so easily mixed up. One very interesting aspect of neurogenesis is that it is highly responsive to environmental influences, some of which are described below. A number of simple factors have been shown to enhance neurogenesis. Less research has been done on the specific knock-on effects of increased neurogenesis on cognition, but some promising initial studies have been performed. By Mairéad MacSweeney, Wellcome Trust Senior Research Fellow at the UCL Institute of Cognitive Neuroscience. I work with people who are born severely or profoundly deaf in order to inform our understanding of how the brain processes language. People born deaf can provide a unique insight into how the brain processes language. This is because the vast majority of the population are born hearing, and hear spoken language even before they are born, while still in the womb. They are always surrounded by it. But for a child who is born profoundly deaf, the situation is very different. By definition they have incomplete access to spoken language. In addition some deaf children may access a purely visual language – in this country – British Sign Language. We can look at language development and brain development in these children to gain unique insights into how language is processed in the absence of sound. I look at sign language processing and also spoken language processing in the form of lip-reading and reading. Reading forms a major part of my current research. Deaf children find it incredibly difficult to learn to read, because when we read we read a spoken language written on the page and deaf children have impoverished access to spoken language. Although deafness is not a learning disability – most deaf children have normal non-verbal IQs – a typical deaf child will have a reading age of 10-11 years old when they leave school aged 16. This has major consequences for their educational and vocational attainment. A major skill in developing reading accuracy is learning how to map the written letters onto the correct sounds. This is what phonics training is all about – mapping sounds to letters or letter combinations. Broader language skills are also very important to reading comprehension, such as semantics (the meaning of words) and syntactic structure (how words are put together to form sentences). Some deaf children do become very good readers. If we can understand how they achieve this, despite the fact that they can’t hear the language that they are reading, then this can give us insights into how we might be able to better teach all deaf children. More broadly, an understanding of how important hearing spoken language is for learning to read has the potential to inform our understanding of reading in hearing children too, not just deaf children. For example, one of the core deficits in hearing children with dyslexia is that they have poor phonological awareness skills, such as knowing that “chair” rhymes with “bear,” or that “split” without the “l” is “spit.” One of the main theories of dyslexia in hearing children is that they have some kind of low-level auditory processing deficit. With deaf children we can look at a group who have very little or no auditory input, and look at the impact of that on their reading.